"Oh, Dakuwaqa!" 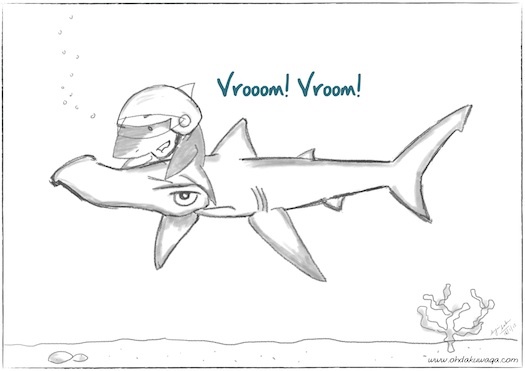 - The Shark comics and cartoons: I want a shark scooter! I want a shark scooter! My sister mentioned that every time she sees a hammerhead shark, she feels like holding on to the head and play water scooter. 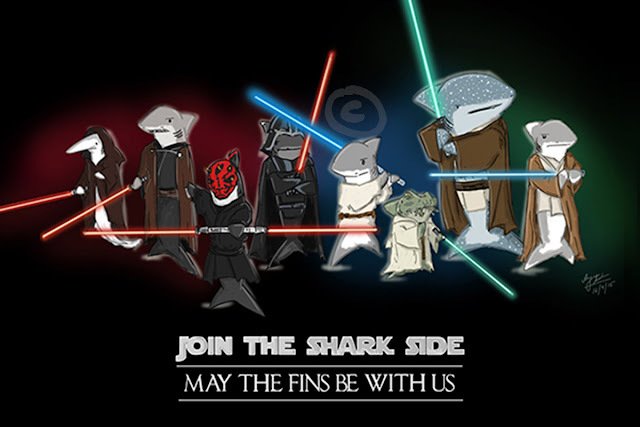 I doubt that the shark would find that very amusing.